It's Not Easy being Green, an exhibit of art quilts created by members of the High Fiber Diet art quilt group, has landed in its first venue. Now showing through Oct. 27th at the Visual Arts Gallery at Mt. Hood Community College, the opening reception is TODAY! 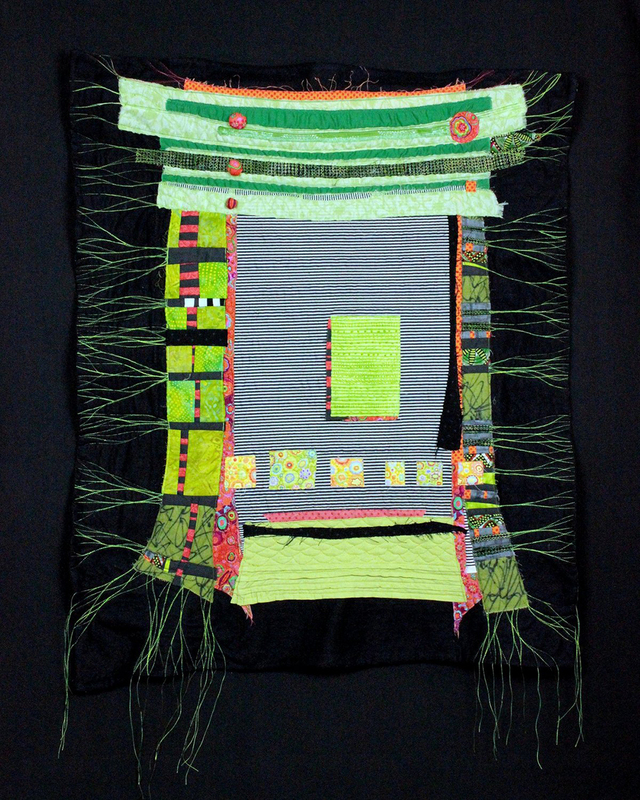 My quilt, The Green Gate, will be on display in the exhibit. I was surprised and really pleased to see my name mentioned in the gallery announcement! I'm looking forward to seeing the whole show and everyone's interpretation of the Green theme!